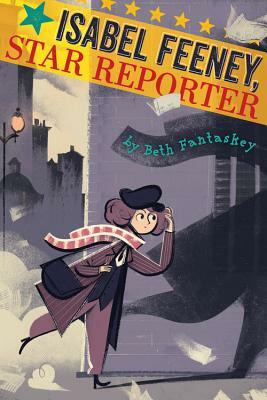 "Fantaskey does an excellent job of conveying the flavor of the time period, drawing attention to the public’s fascination with murderers, bootleggers, and gangsters...Isabel's innocence and intelligence combine to form a complex character full of moxie." "Fantaskey offers a dark but exciting picture of one of Chicago’s most infamous decades..."
"It’s a story chockfull of colorful historical information with a heroine who is impetuous, flawed, and very easy to root for." "A not-to-be-missed novel for middle graders looking for a satisfying mystery with a daring female heroine." "Fast-moving, short chapters are narrated by the sassy Isabel, whose speech ("Jeez, what kind of bee was in his bonnet?") captures the flavor of the era."